Reproductive investment varies greatly across different groups of organism and has long been the focus of biologists interested in how different life history strategies evolved. 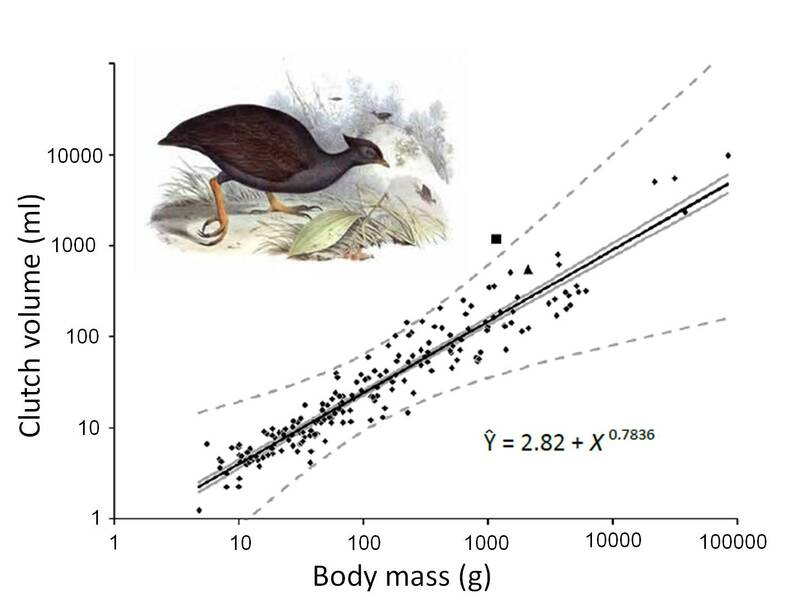 Eggs and seeds have been a particular focus of this work, in part because of the ease with which they can be measured and compared objectively across groups. By far the best studied group is birds,with clutch size (the number of eggs laid in a single reproductive bout) dominating current thinking about reproductive investment. 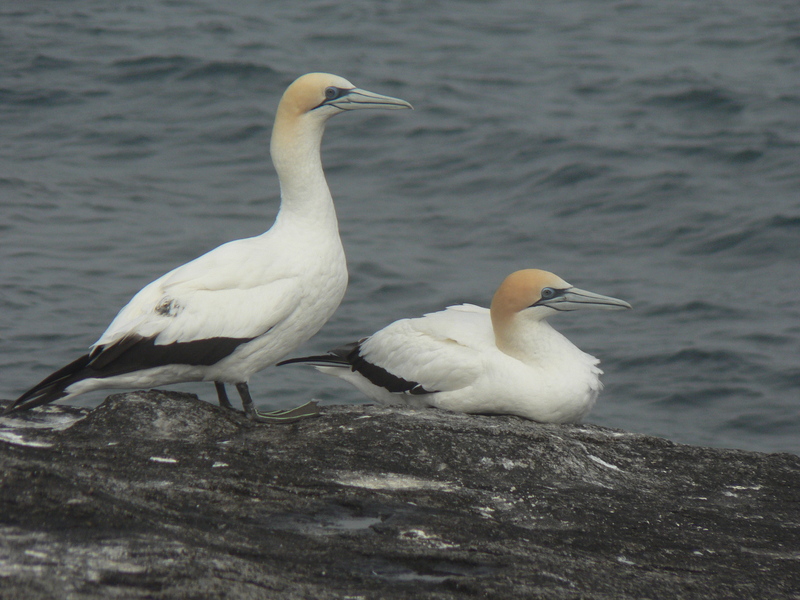 Clutch size is very useful–as well as relating directly to the number of offspring produced, it can be easily measured and related to a wide range of ecological, phylogenetic and environmental factors. But eggs also vary in size, so two clutches of five eggs laid by otherwise comparable birds may actually represent two very different levels of investment in reproduction. For Susan Anderson’s (now Susan Lycett) honours research, we looked at this issue in depth. Rather than looking at clutch size or egg size, we combined these two measures into one continuous metric–clutch volume. Unlike mass, this measure doesn’t change over the course of incubation, can be readily calculated from egg dimensions and mean clutch size, and enables a more inclusive measure of reproductive effort than the integer-based clutch size. 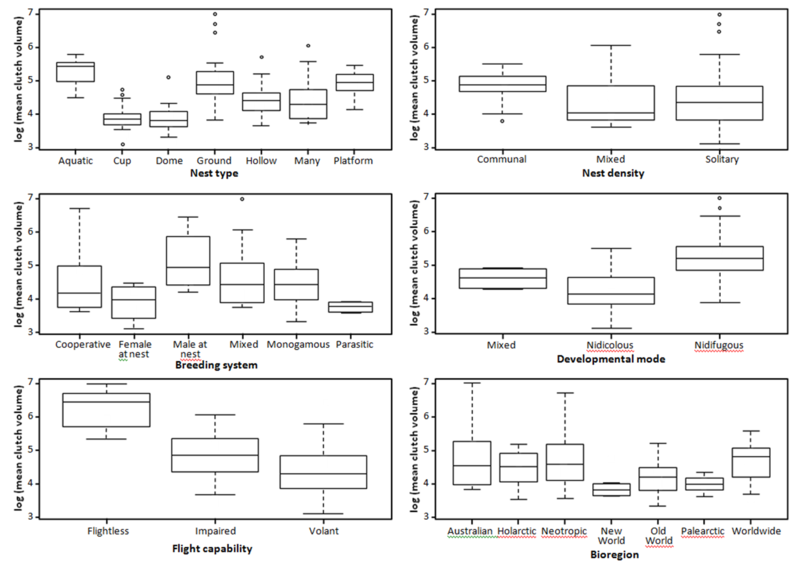 We then compiled a database of clutch volume for modern birds, working out how many species were needed to generate reliable family-level means (nine) and then randomly selecting nine species fom each family to build up a picture of how reproductive investment varies across birds. With valuable input from Dr Valerie Olson, we undertook detailed analysis of the determinants of reproductive investment in birds. Full details of this work are available here, but three key findings emerged from this work. Firstly, we found a very tight relationship between body mass and reproductive investment (as estimated by clutch volume), with far less variation than is seen in clutch size. Secondly, and surprisingly, we found that kiwis were’t exceptional. Sure, they lay (generally) a single egg and that egg is huge relative to their body mass, but when compared with other birds, the volume of their clutch is what you would expect for birds of this size. 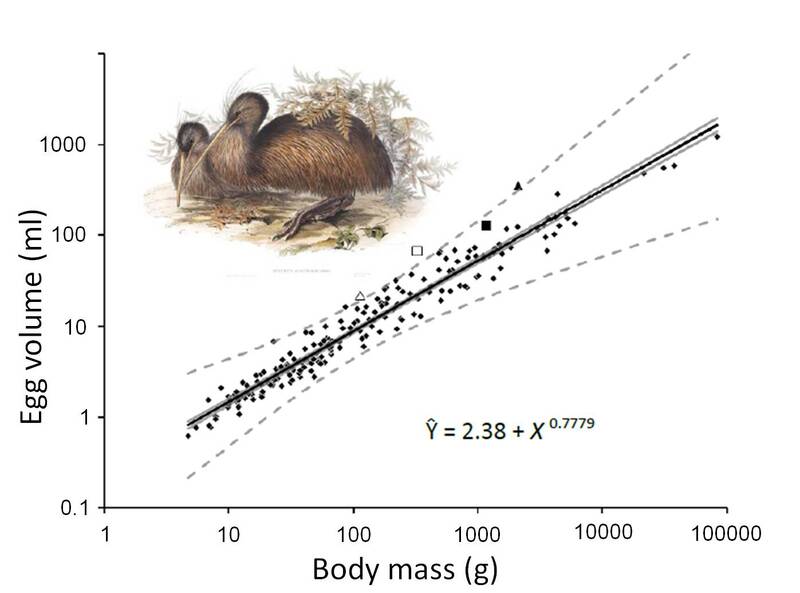 Mike Dickison came to this conclusion independently in 2007, and suggests that, although very strange birds in many ways, kiwis do not deserve their reputation as champions of reproductive investment. Incidentally, they don’t even lay the biggest single egg (relative to body mass)–that title belongs to crab plovers (open square, below) at the family scale and a storm petrel at the species scale (a single New Zealand storm petrel egg weighs a whopping ~29% of the female’s mass!). 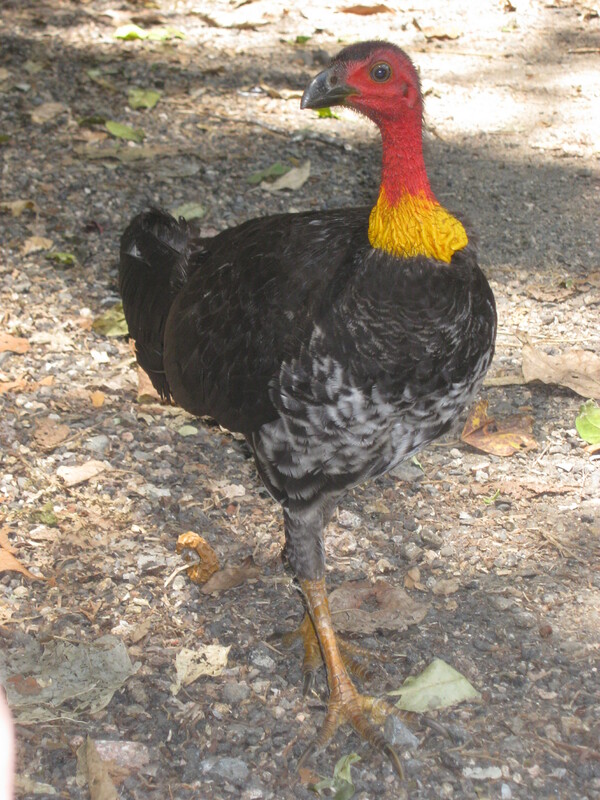 The champion title goes to another group of birds–the megapodes or mound builders. These are the only birds that do not rely on body heat for incubation, laying their eggs near volcanic vents, beneath sun-warmed sand or in carefully-tended piles of rotting vegetation. They lay large numbers of large eggs, combining to yield clutch volumes of around seven times the predicted value for birds of that mass. It may look quite minor in the plots, but these use a log-log scale, so slight shifts in graphical space translate to very large actual differences. The next phase of this work is ongoing–evaluating the influence of various life history traits on clutch volume, and comparing findings with previous work based on clutch size. The set of six plots below shows initial comparisons at the family scale, suggesting that many of the patterns described for clutch size do not hold for clutch volume, calling into question some widely-held precepts on avian life history trade-offs. More work needs to be done, exploring the evolutionary and ecological basis of observed variation in reproductive investment–a topic of mutual interest to colleague Dr Melanie Massaro.